Low odour and non-toxic alternative to White Spirit. Cleans both water-based and solvent-based coatings. 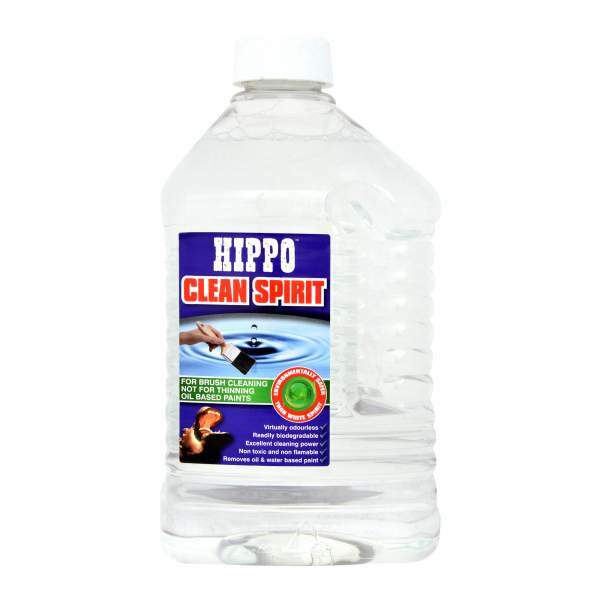 Hippo Clean Spirit is a water-based, environmentally friendly alternative to traditional White Spirit. It is low odour, non-toxic and low in VOCs which contribute to atmospheric pollution. Effectively removes water-based and solvent-based coatings from brushes and rollers, whilst also removing spills from clothing, carpets and hard surfaces. 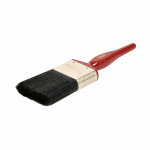 Added conditioners help to keep brush bristles soft and flexible. 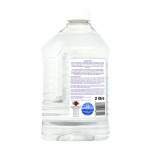 Containing a high-tec combination of low VOC components, Clean spirit is a revolutionary water based alternative to White Spirit, highly effective and yet safer for you and the environment. Clean Spirit is completely biodegradable, non-toxic, non-flammable and virtually odourless. Clean Spirit is ideal for cleaning brushes, rollers and paint pads from all water based and most oil based paints, and also contains a conditioning agent keeping brushes soft and flexible. You can also use Clean Spirit to remove paint spills from many surfaces including laminate flooring, worktops, glass and most textiles, etc. 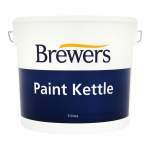 Using a cloth or newspaper, remove excess paint. Pour a fair amount of Clean Spirit into a container. Dip the tool into the solution and work in well. Remove from container and rub in the solution with a cloth. Repeat as necessary using fresh Clean Spirit each time. Rinse under water and dry. NOTE: Heavily coated objects may need multiple applications. 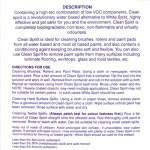 Clean Spirit may not be suitable for certain paints in such cases White Spirit should be used. Using a cloth or paper towel. Remove excess paint. Pour a generous amount of Clean Spirit onto a cloth Wipe surface until all paint has been removed. Rinse surface with water and dry. Always patch test for colour fastness first. Pour a fair amount of Clean Spirit straight onto the affected area. 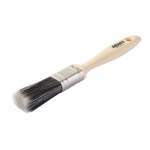 Rub thoroughly until paint is removed. Rinse or wash with water. Can be suitable for cleaning small carpet spills. Keep out of reach of children /Wad prolonged skin contact if unavoidable, wear rubber gloves. If contact with eyes occurs, rinse immediately with plenty of water. Clean Spirit is not recommended for thinning oils based pants White Spirit should be used for this instead. Less than 5% Nonionic surfactant.